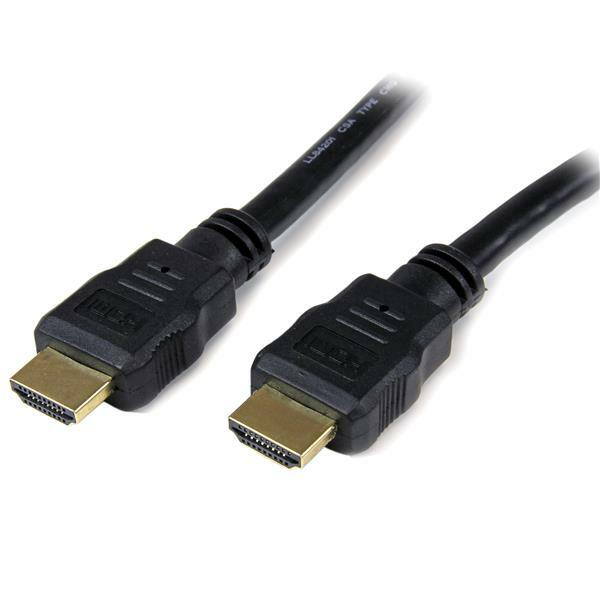 The HDMM150CM 1.5m High Speed HDMI® cable comes in a non-standard 5 foot cable length allowing for a convenient connection distance and enabling you to position your HDMI-enabled devices as needed. 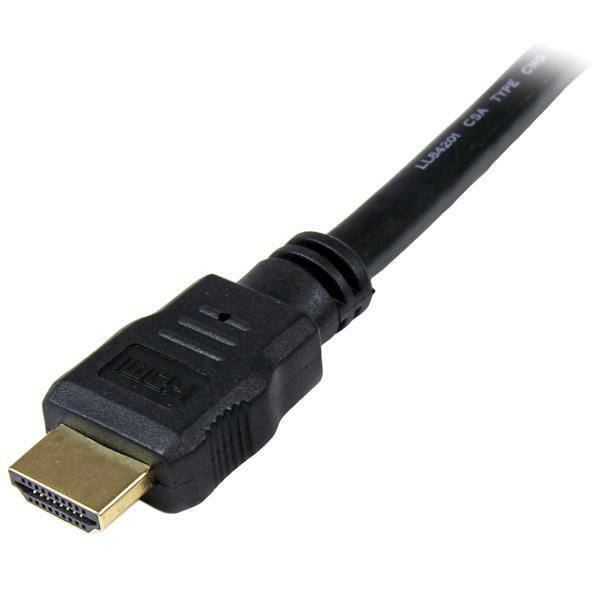 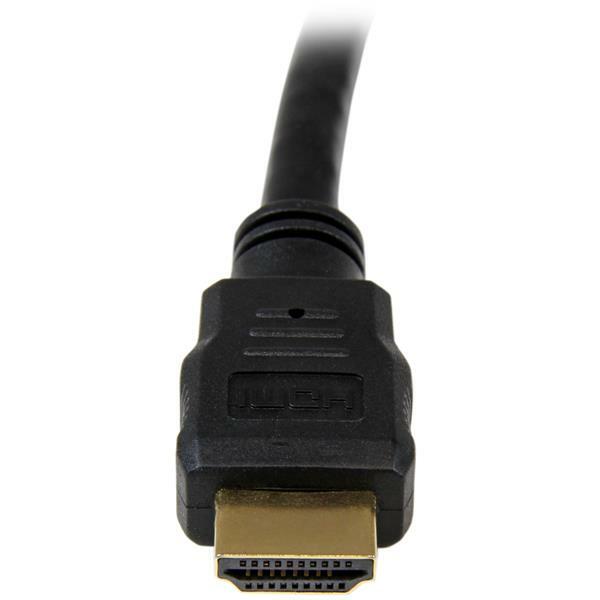 The cable features two gold-plated HDMI male connectors to provide a dependable HDMI to HDMI connection, while the unique cable length makes it perfect for watching videos from your laptop on your HDMI TV or for boardroom presentations when connecting your laptop to an HDMI-enabled projector. 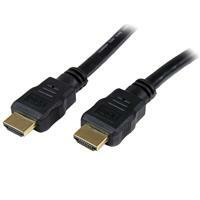 The HDMM150CM 5ft HDMI cable is backed by StarTech.com's Lifetime Warranty. 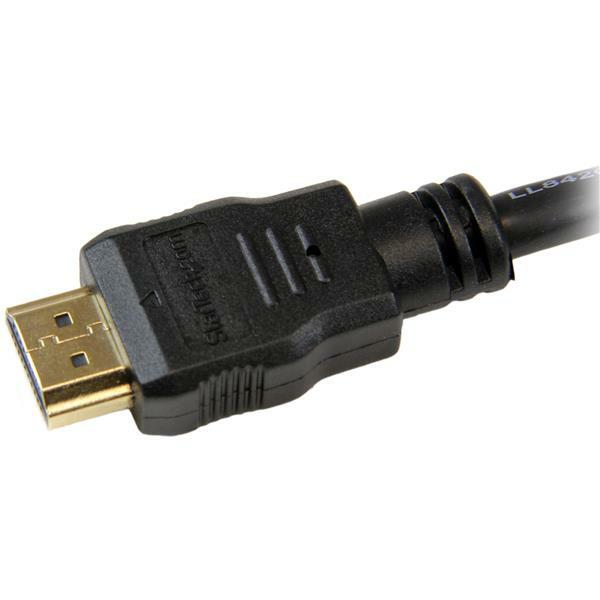 Connecting high-definition A/V devices such as Blu-Ray Disc™ players, HDTVs, DVD Players, DVRs, game consoles, projectors etc.